So, you decided to go big game hunting for the first time! Congratulations. You’ve bought your rifle and mounted the scope. Now it’s time to go sight in your rifle. 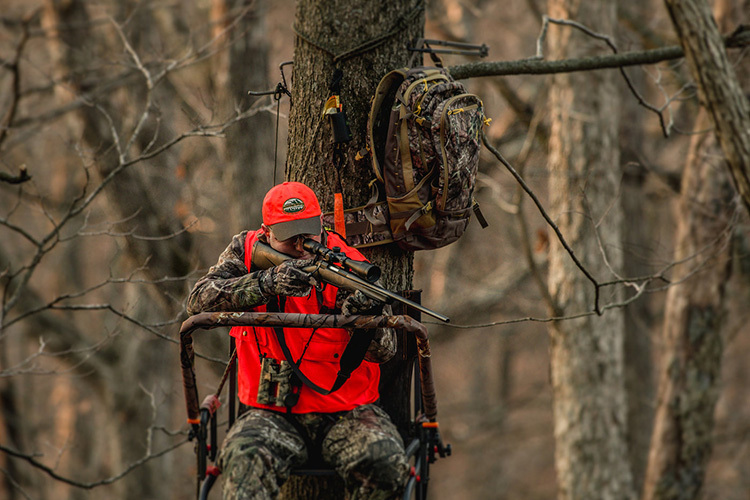 If you do this procedure properly you’ll be ahead of a big percentage of seasoned hunters. It constantly amazes me as to how many hunters don’t sight in their rifles every year or just flat out don’t know how to do it properly. Here are some simple steps to do it right. First, you’ll need a spot you can shoot safely. 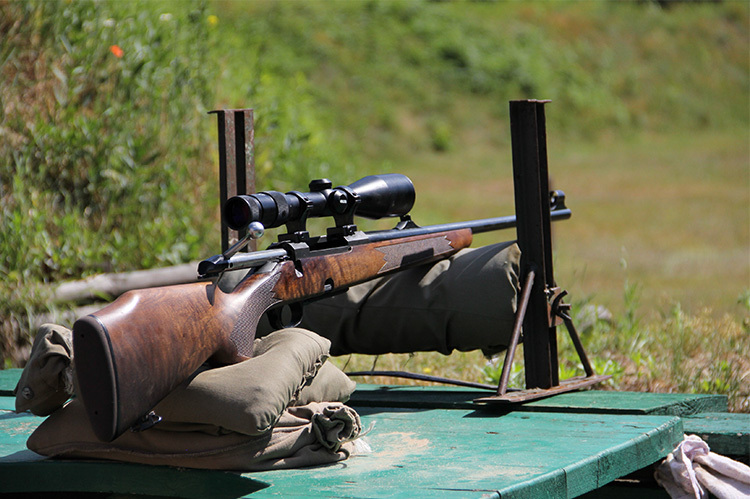 Find an outdoor range that can accommodate rifle shooting out to at least 100 yards. 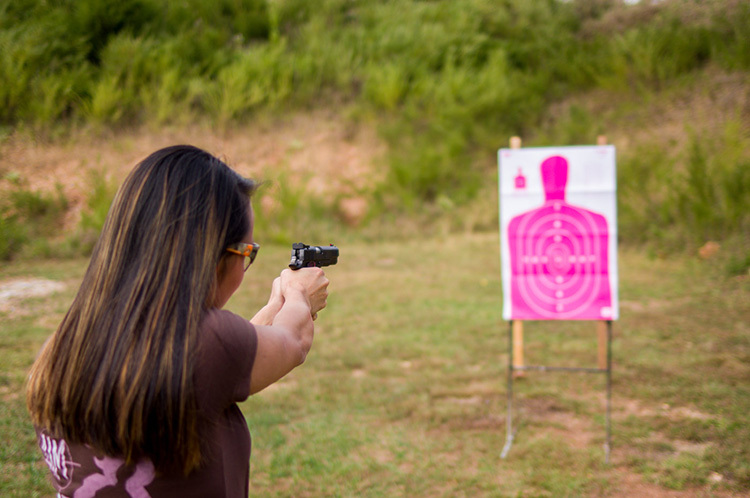 A good range will provide stable shooting platforms, target frames, and a safe shooting environment. 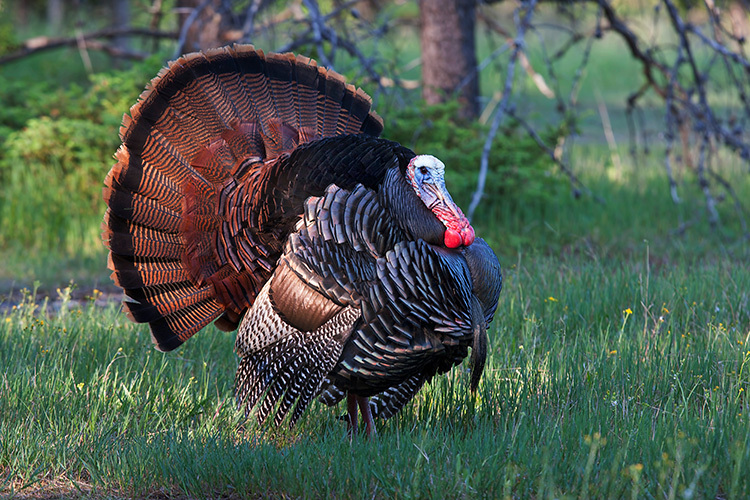 Out west, there’s lots of public land available for sighting in your rifle on your own. If you use public land, make sure your range has a backstop. That means a solid dirt berm or steep hillside behind your target. Also, know what’s beyond your backstop. No people, cattle, buildings or roads. Remember that any centerfire rifle cartridge can easily travel well over a mile. Another consideration for public land shooting: If wildfire risk is high due to dry conditions, know that fires have been started when bullets strike rocks and create sparks. Don’t take the risk of starting a wildfire if grass and brush are dry. Set up a sturdy shooting platform. For example, you can use a few Caldwell sand bags to prop your rifle on and also a few blankets to adjust to the proper height. Tape your target to a box and put sand or dirt inside to stabilize it. If you’ve just mounted your scope you’ll want to first set up close, at 25 yards or so to get it “on paper.” By getting it on paper, we mean adjusting your crosshairs so they at least hit the target. Then back up to 100 yards. For sighting in your scope, don’t go with the traditional circular bullseye target. Use a scope target with orange and white squares. Why? If you’re shooting at a target that has a one-inch round bullseye, as long as you’re in the bullseye, you think you’re OK, right? However, one shot may be on the left side and the second shot is on the right side of the bull. Right away you’ve already got a one-inch group. A square scope target enables you to align vertical and horizontal crosshairs more precisely than a round bullseye target. Don’t just fire one shot and attempt to adjust your crosshairs. Shoot a three-shot group. If you have a close group of three, then you’ll know which way to adjust. 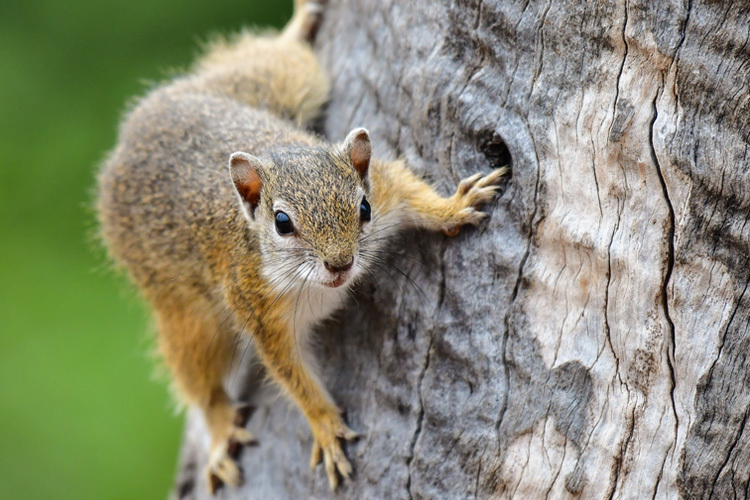 If your group is all over, that could be due to a multitude of issues. 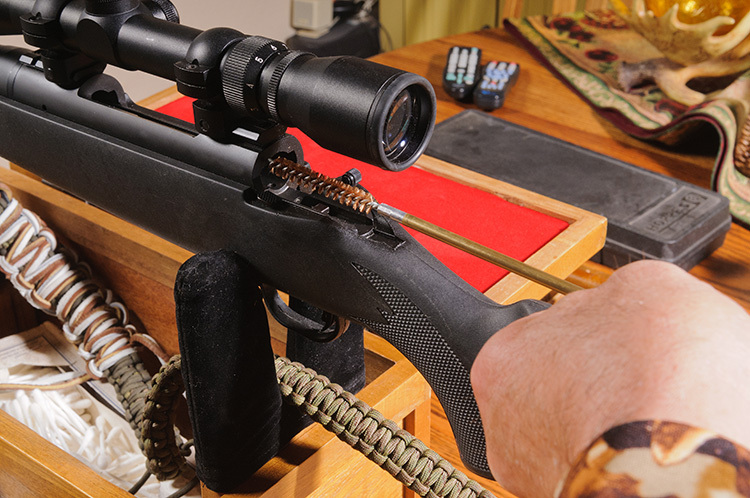 Jerking the trigger, loose scope mounts, bad barrel or bad ammo are the common causes. Let’s assume you have an acceptable group. Now you’ll want to adjust your crosshairs to the desired spot and shoot another three-shot group. Depending on your rifle caliber, what you plan to hunt and where, range and ballistics will vary significantly. Reliable accuracy at 100 yards is a great place to start. Save the long-range shooting for later, when you’ve got more skill and experience with your rifle. Ammo: Your rifle will probably “like” some ammunition over others, in terms of accuracy. Bullet weight, type, and manufacturer can each make a difference. For a 30-06 rifle, you may have six different bullet weights (measured in grains) to choose from. Be sure to try several brands and bullet weights to find out what your rifle shoots best. In closing, it’s imperative to sight your rifle in every year. It’s also your responsibility as an ethical hunter. After all, why go to the trouble and expense of hunting and at that magical moment you miss or wound an animal because your rifle isn’t sighted in?